BVT is the place to be if you want the best Martial Arts for Kids in Port St Lucie! We offer your child not just one martial art style but two! Kids martial arts classes at the Brazilian Vale Tudo Academy are fun and motivational. Here your child will learn to be Bully Proof and feel confident every single day while having fun and making friends in class. Were you aware that Martial Arts are 10 times better than Team Sports in developing a child's confidence and self-esteem? 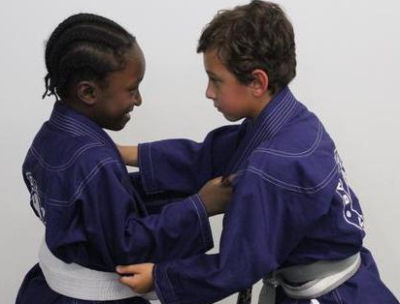 Our Judo and Gracie Jiu Jitsu program here at BVT can and WILL help your child increase their self-esteem, discipline, respect, and confidence. All of these things while teaching them important life skills that will last them a lifetime and much more. "I will increase your Child's confidence, self-esteem, teach them to avoid peer pressure, increase their motor skills, teach them to defend themselves, How To Get Better Grades, how to handle bullies, teach them life skills that will last a lifetime and much, much more." We are the only school in Port Saint Lucie, St. Lucie County and Martin County that has a that has your child in mind. We offer them multiple ways to learn how to protect themselves through Judo and Jiu-Jitsu (link to FB page). Your child will learn Realistic Self-Defense Skills that could save their lives! We don’t give children a false sense of reality by teaching them unrealistic flashy techniques – no jump kicks or karate chops here. Our kids learn the same curriculum that our adults follow but with small moderations to make it safer and more fun to learn. Our program will teach your child how to protect themselves in real life threatening situations. This invaluable skill could be the difference between life and death! You might be asking your self right now....How can one activity have such an impact on my child? In our program, we want to help build your child's characters. We won't just teach your child punches and kicks. During their class time, you'll witness your child's energy, spirit and confidence rise through the roofs while they become confident and strong. Of course, they will get physically stronger, but the strength we are talking about is the strength it takes to say NO to peer pressure and all the negative things that surround us daily. 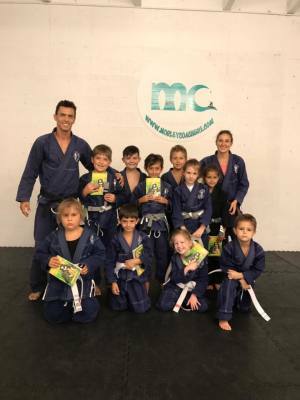 Our Judo and Brazilian Jiu-Jitsu Program will arm your child with a host of positive mental and physical skills that will help him in school, at home, and in life! The result? Your child will learn to succeed! You will notice that they have a new kind of discipline emerging... .the kind that will positively affect all areas of his or her life. Their respect for themselves and other will increase tremendously! I know all this sounds incredible but true. The martial arts is not only a sport that can be enjoyed throughout a lifetime, where people from 3 to 100 years old train in, but can also improve their quality of life! The benefits for Adults have been tremendous and we all know how much quicker Kids learn than Adults! If your child is involved in sports. . . It still may not be enough! Studies have shown that martial arts programs like the one we offer, that focus on personal achievement are immeasurably more effective than team sports!